It’s Friday again and it’s soon payday for the most of us. 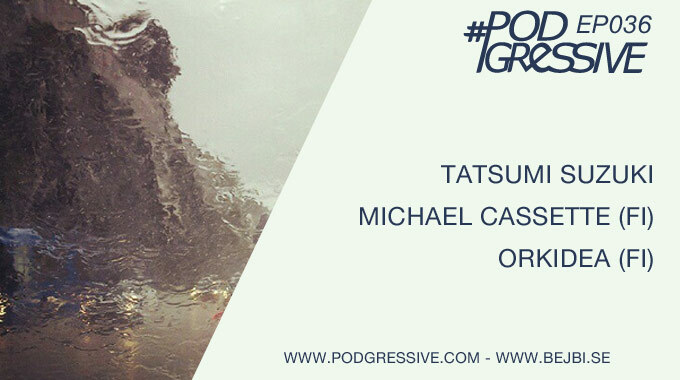 Podgressive EP036 is released and it’s a episode full of talanted guests and filled with the best dance music the world has to offer at this moment. First up is the very talanted artist Michael Cassette. His sound has made us impressed for several years and it’s nice to have him with us! Next up is Orkidea. He has been up on the very top of the nordic dance scene for more than a decade and his uplifting and melodic sound will hopefully squeeze the juice of this show! As for the resident dj Tatsumi Suzuki, he have a little more melodic and a bit faster mix for this month. We think this will suite for all you trance people out there! We have also the winner of last months contest with Analog Sweden and another intresting interview of Millaway by Patric from bejbi.se. Enjoy! Now, head over to >>Podgressive.com << and listen to the #Podgressive EP036!